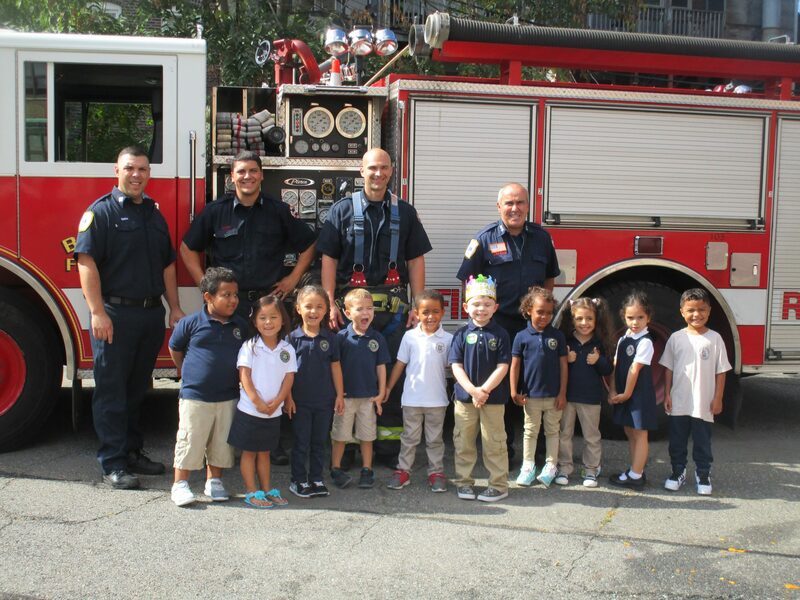 FIRE PREVENTION WEEK — The students in Mrs. Murphy’s P.M. Pre-Kindergarten Class at Mary J. Donohoe School had a surprise visit from the Bayonne Fire Department. The students learned about fire safety and were able to spray the fire hose. It was a great afternoon.